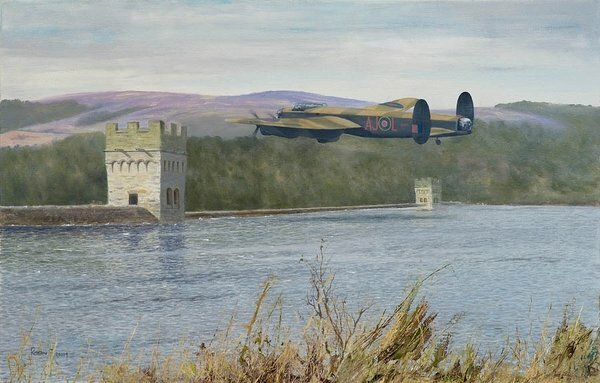 The Derwent Dam in the North of Derbyshire was a location for the practice runs for the German dam attacks. The towers offered a good simulation for the practice approaches and a valuable excercise for the bomb aimer. Log book entries referred to the activities as low flying practice as it had to be kept very secret. In order to confuse the 5th Columist activity present in the UK at the time, 617 Sqn. practiced low flying runs in the Lake District at several locations.